In 2009 we had the first ever Generations…The Unbroken Chain: Ministry Through the Ages training event. It was such an eye-opening experience. One of the highlights was the “top ten” for each generation represented. This is the second in a series of “top 10s” in which I’ll share what the breakout leaders thought were the most important things for leaders to know about the generation they represented. Our college age generation was represented by Lauren Farmer, , a recent graduate of Southern Baptist Theological Seminary in Louisville, KY, where she received her master of divinity in women’s leadership. Lauren has worked with young women at various churches and para-church organizations. Here were the top 10 things she wanted us to know about college women. I will give you Lauren’s top ten ideas and add some comment to each. 1. 70% of 18-22 year olds drop out of church for at least one year. This truly shows us how important it is to seek creative ways to reach and involve these women in ministry. If you invest in one college student this year, you may be the one who prevents her from being a part if this drop out percentage. Invite her into your home for a meal, let her wash clothes at your house if she lives in a dorm or an apartment, or take her a bag of goodies to welcome her to your community. 2. College women are a very diverse group! We can’t assume they all have one goal, one way of doing life and even one way of growing spiritually. 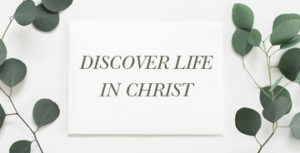 We must help them find their individual callings and passions for Christ and show them how to use them for His glory. 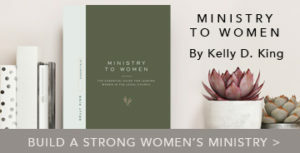 Do a spiritual gifts workshop with a group of college women and show them how their gift connects to Kingdom ministry. 3. There is a great opportunity to minister to this age-group. When you look at how many are not near family, or who are trying to discover what they will do with the rest of their lives, you see the importance of pouring into their lives. As you spend time with them, you will discover many needs, sometimes even crises, they are dealing with. Ask God to give you a heart that hears the needs and sees a way to respond in love. 4. They are extremely influenced by technology. If we aren’t connecting with them through the Internet and texting, then we are missing an easy and important way of building our relationships with them. Get on Facebook—if I can do it, so can you! Use these to share events, studies, ministry opportunities, coffee shop get togethers. Not only is it fast, it’s cheap, and these women are “connected”. 5. They are in a season of life defined by change and transition. Not a child, not quite a full-fledged adult. Struggling often to figure out where they really are. As one comment we heard in the young adult research indicated, the churches have a place for you in students, then they pat you on the back, send you to college and say, “we’ll see you back when you are married.” Let’s not lose them during this time of transition but embrace them and encourage them to lead in the church now. Form a advisory team of college women to help reach others in their sphere of influence. 6. There is a deep desire for authentic relationships and community. Build into your ministry opportunities for women to get face to face to share their stories, their hearts, their needs, and their desires. It takes time…time that you may have to intentionally build into your already busy schedule, both personally and in the ministry with women. Plan it as a part of the agenda, at least in your mind. If you are meeting for a small group, have your format timed out in your mind, with a chunk of that being spent on getting to know each other and share what’s on their heart. 7. There is a questioning of status quo. Do not be offended by their questions. We all had lots of questions about life, society and the church when we were in college. It doesn’t mean what’s been done before is not valid. But it also means, there just might be a better way of doing it! And, perhaps their questions will help us truly see if our focus is in the right place as they seek the “why” behind what we do in church and in life in general. 8. There is a desire to make their life count. 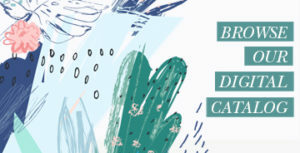 Help these college women find meaningful ways of connecting with their communities and even beyond, to make a difference in lives. Help them discover unmet needs that could be met by a group of mission minded young women as well as older women. Working together to accomplish something we can’t do alone is a powerful way to build relationships. Missions can actually be a front door to reaching unsaved young women. As they work in the community or on foreign soil to help those in need, they will be rubbing shoulders with faithful women of God who can influence them toward a relationship with Christ. 9. There is a desire for meaningful relationship with those who have gone before them. It’s called mentoring, but the word sometimes scares older women to death. Young women just want to know others have wondered what it’s like to question what God wants you to do with your life, how to deepen a walk with Him, how to be a godly woman, wife, mom, employee, and even how to do practical things like cook, decorate and shop effectively. Help your older women understand Titus 2:3-5 and show them how to share their “God stories” from their own lives in a way that connects to younger women. Young women aren’t looking for spiritual giants, they are looking for someone who will listen, let them ask questions, and help them discover solutions to their life needs. 10. Think outside the box. Do something you’ve never done before and be proud of it! Not just for the sake of difference, but for the sake of seeking to reach women you’ve not reached before. Let these young women help you get out of that box. They have energy, enthusiasm, and knowledge that can help move ministry into the future.